In addition to inside projects, we have been working on the backyard as well. When we started looking for our first home, a big backyard was one of our priorities because we have an 85 pound dog. 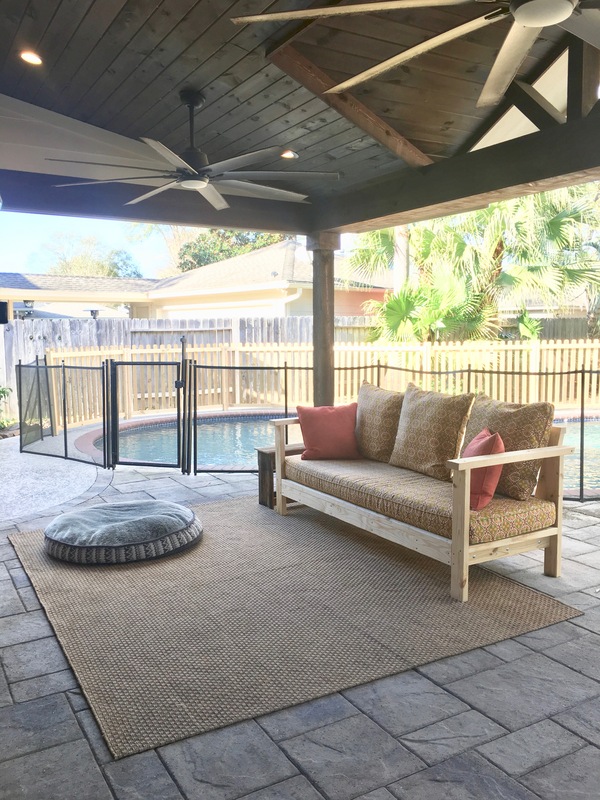 Our realtor found this home and even though it did not have the big open backyard, we really loved it and we liked the covered patio and pool, which we have really enjoyed and our dog seems to be pretty happy with it too. The pool has required some work but I’m sure we and the dog will appreciate it when it’s 90 degrees. The portion of the yard with the pool was fenced in but that included the grassy areas so we needed to fence in just the pool not an entire portion of the yard. So my husband built a wooden fence to meet up with the mesh fence the former owners put up, only blocking off the pool (eventually, he will replace the mesh fencing with more wooden fencing). 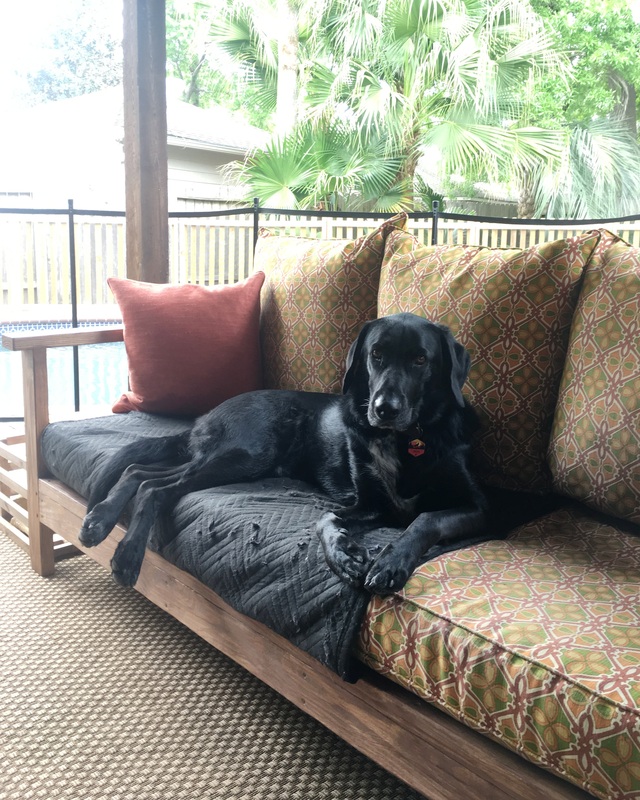 In order to transition our dog to live outside full-time, I knew he would require a sofa. He is a bit high maintenance. My mom took me to a discount fabric store where we found a great deal on Tommy Bahama Sunbrella fabric and a foam cushion. We purchased outdoor pillows from JoAnn Fabrics and a contact of the discount fabric store made the cushion and pillow covers. My mom found the orange pillows at TJMaxx. I purchased two outdoor rugs from Target for the “living area” and the backdoor area, which the dog has enjoyed napping on. The rugs seem to be holding up pretty well and dry quickly after heavy rain. We used a bench my husband made years ago with wood from my grandfather’s barn as a side table. We have spent a lot of time disposing of all the cans of paint, wooden pallets, pool accessories, flower pots, gardening accessories, and property the former owners left. 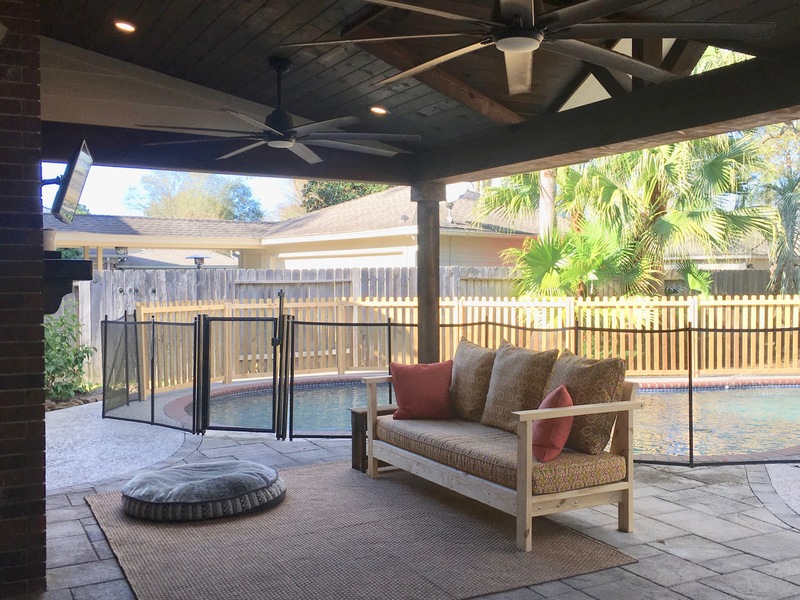 Other than the pool fence and the sofa, the indoor updates were the main priority for the past few months but we have come to a stopping point so our focus is now the outside of the house. 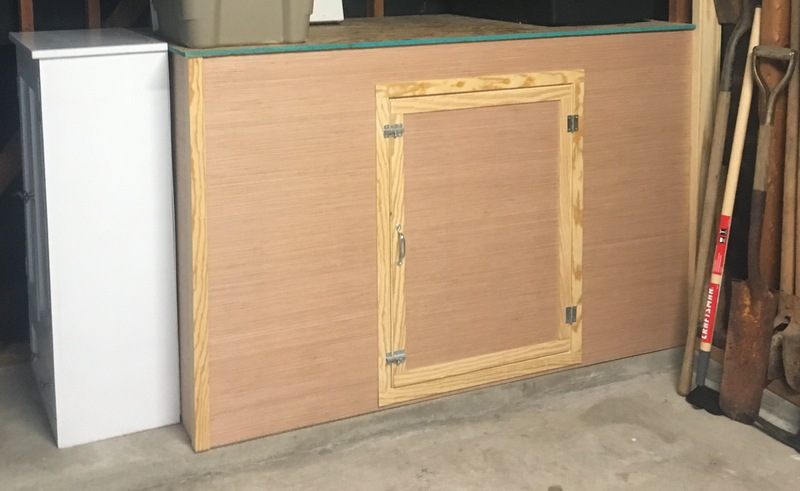 In addition to the carpentry work, my husband has replaced pickets on the property fence, laid concrete pavers, organized the outdoor shed and garage, installed lights and peg boards in the garage, built a work bench in the garage, and helped with my first attempt at gardening. I relocated flowers and shrubs in the front yard and planted a few new flowers as well. My husband made a little crate for the dog’s toys and a swing frame for a swing he previously made from redwood. 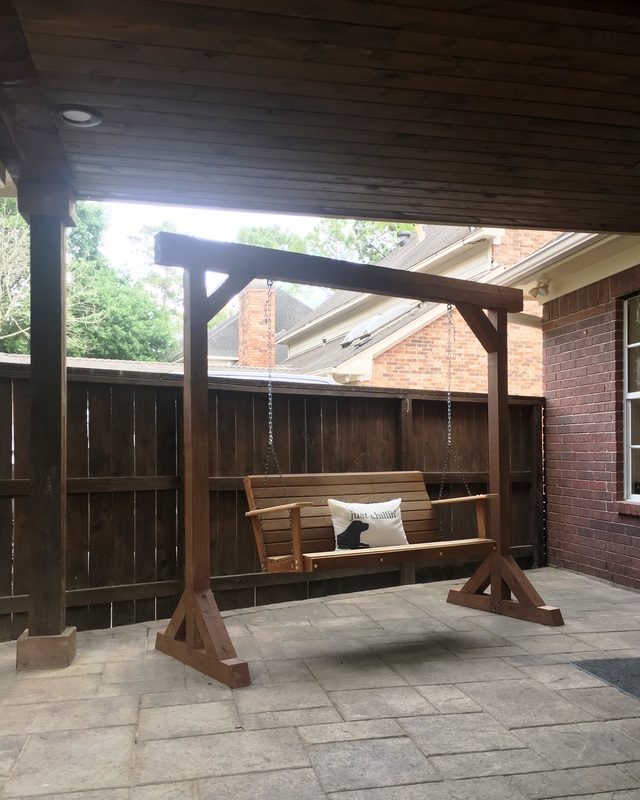 My mom purchased the swing pillow from Pottery Barn. The more time I spend outside, the more I have realized we chairs and tables. 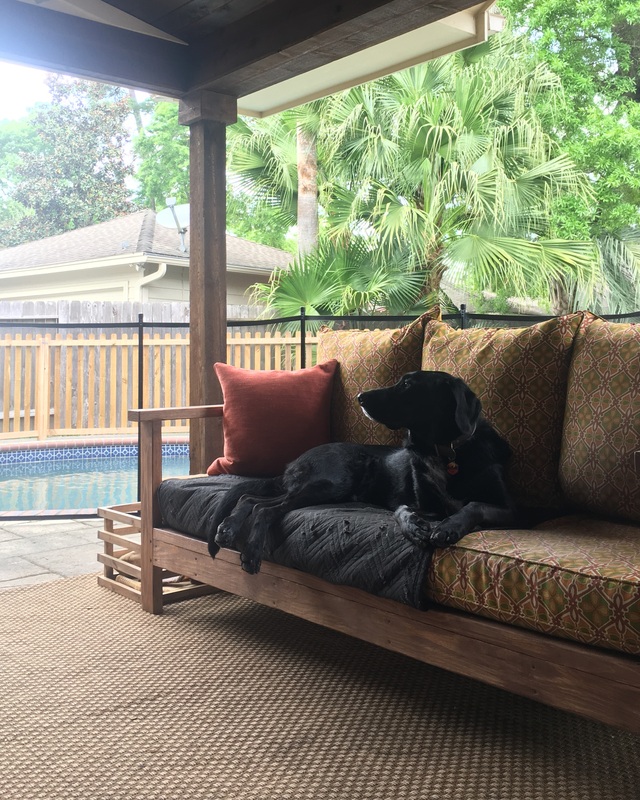 The dog typically stretches out on the couch so I plan on purchasing two wicker chairs and a couple of side tables so we have more seating options. 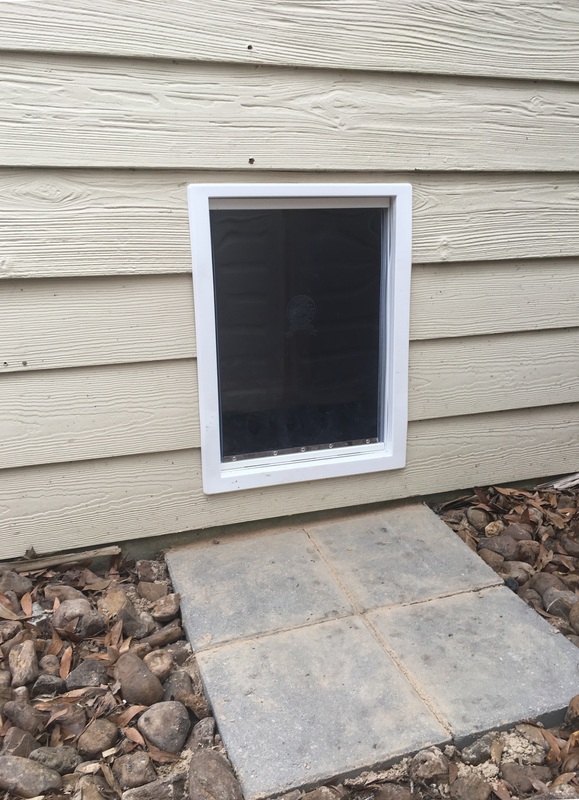 Instead of a traditional doghouse, my husband built a “dog room” inside the garage which can be accessed through a small hinged door in the garage or a doggy door on the back side of the garage. Inside is a mat and a dog bed. 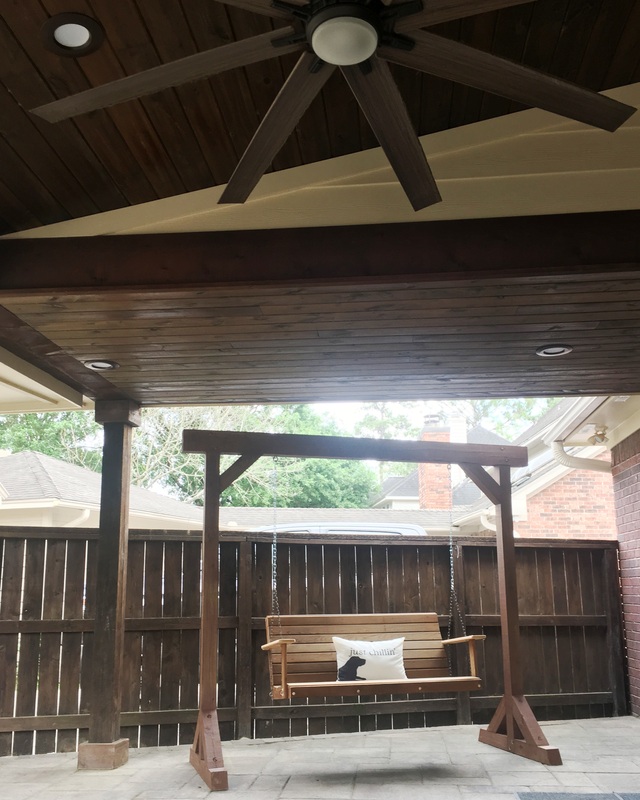 Originally, the plan was to install a little AC unit in the dog room because the summers will be very hot, but the dog seems to prefer to hangout on his sofa, rug, dog bed, and elevated dog bed located under the covered patio. 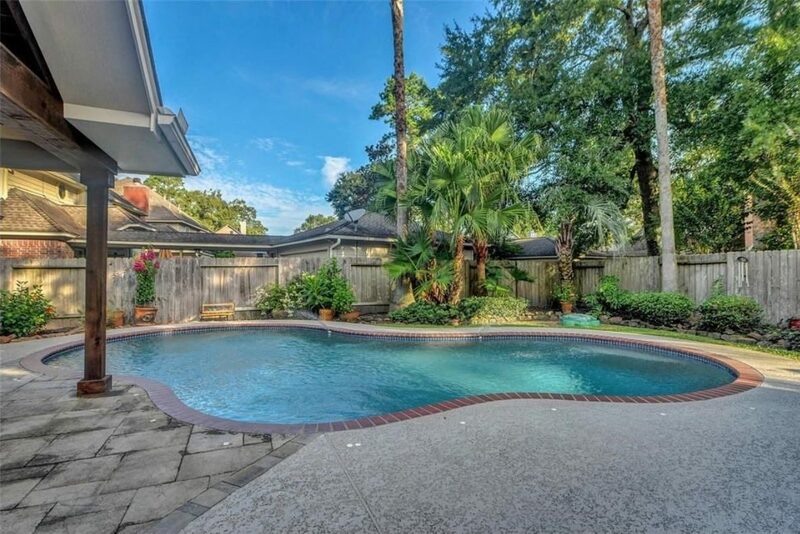 The next projects include landscaping, attempting to grow grass (the dog will complicates it a bit), trimming the palm trees, and working on the sprinkler system. 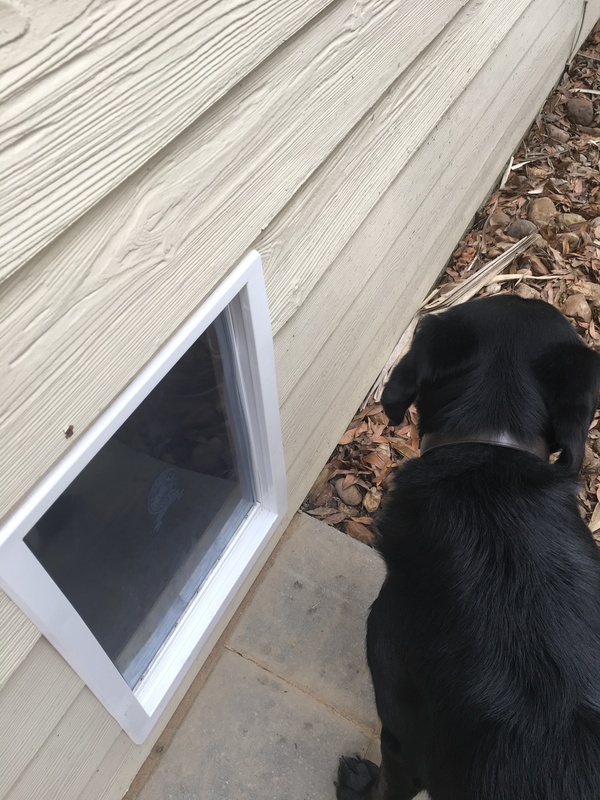 Eventually we will install a new light on the front porch, replace the backdoor, paint the front door, replace some of the shutters on the front of the house, and pressure wash the house.